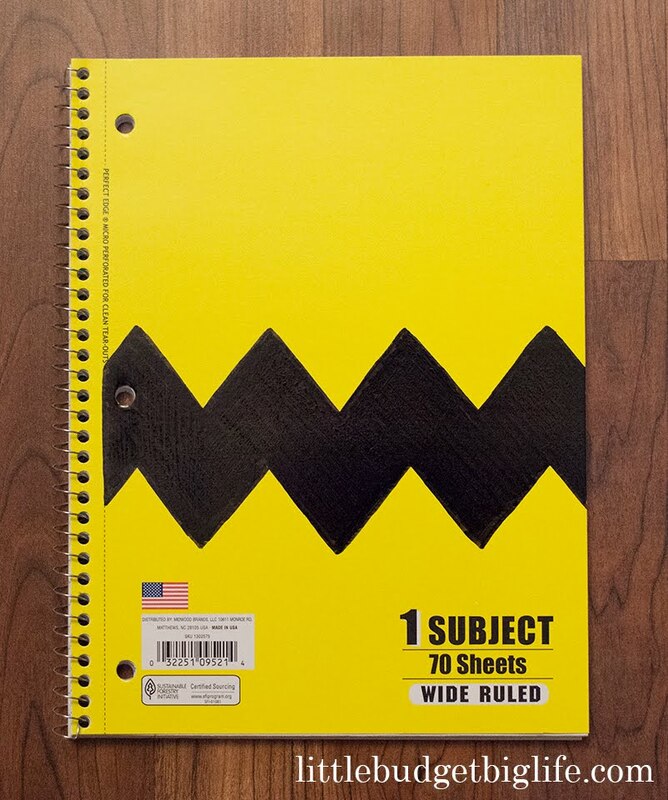 With her love for Peanuts and her regular time spent writing and drawing, I was not at all surprised when Pip recently asked me for a Charlie Brown notebook. 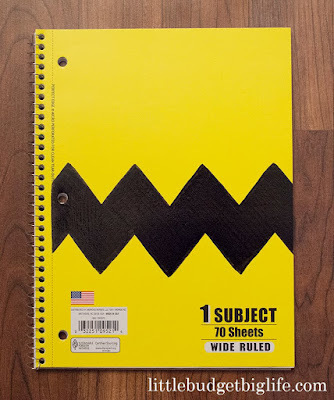 With a quick stop at the dollar store and a few minutes, I turned a plain yellow spiral notebook into a Peanuts inspired sketchbook for her that she thought was super fun. The notebook was new, but everything else I had on hand. I made the stencil from a piece of scrap cardstock. I cut the cardstock into 3" by 1 1/4" strips and then taped them together. I consulted an image of Charlie Brown and noticed that the zig zags on his shirt didn't look like right angles, so I tiled each piece to make those angles a little sharper. I then trimmed along the sides to get rid of the extra corners that were sticking out along each edge. You can see that the outer points are not actually single points--you can see the corner of each strip of card. 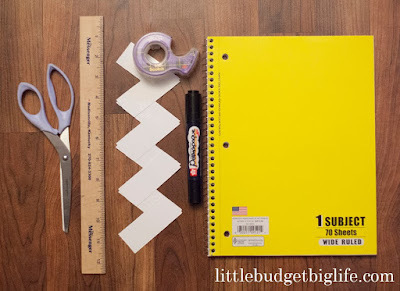 When I went to trace it onto the notebook, I just followed the stencil as best I could and then filled in the little corners freehand. I think it's great fun to take a known property and create something inspired by it. 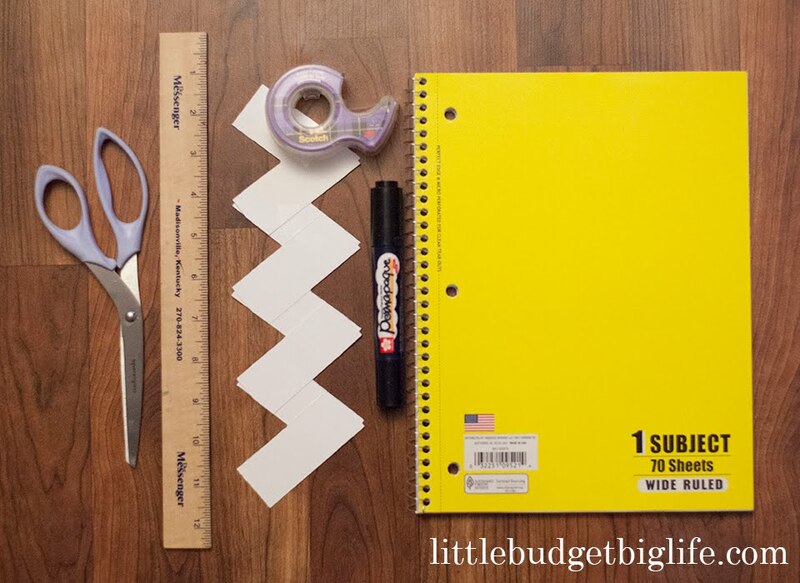 It's often much more affordable than purchasing the licensed item(s), and the act of putting it together myself can make it more meaningful, too.